Welcome to the wild places of the South East through the enchanted landscapes of Allison Watson. To view those landscapes is to be carried into the essence of nature yet untouched. 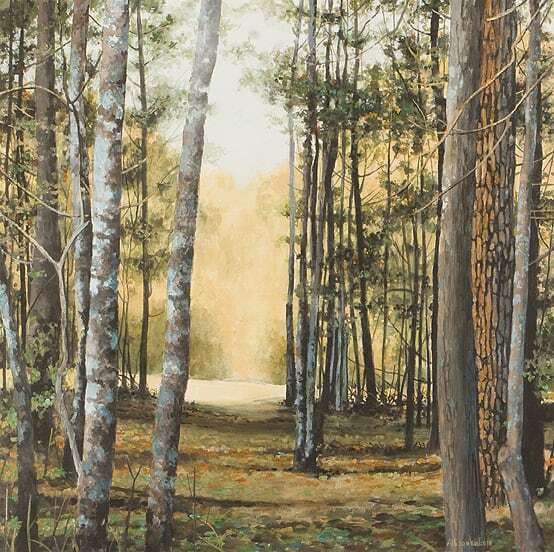 Watson’s mastery of light and shadow has been compared to the masters and her passionate love of nature is apparent in her work that is alive with lush vegetation and rich color. 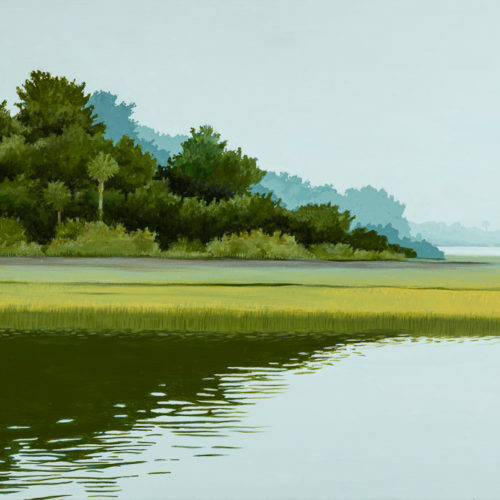 My objective as a painter is to represent vanishing and endangered wild places as places that must be protected. I draw on my experiences canoeing, kayaking and hiking in remote areas for inspiration and for reference photography. Since I began painting as a small child, my ambition was to create images of the natural world, either as the landscapes that I am currently painting or the images of birds, botanicals or shells and fish that I painted in the past. Ms. Watson is a lifelong resident of North Florida. She began her profession as a studio artist in her early twenties. She has worked as an animator, illustrator, textile artist, art teacher, licensed interior decorator, and art teacher on the staff of the Cummer Museum of Art and Gardens. 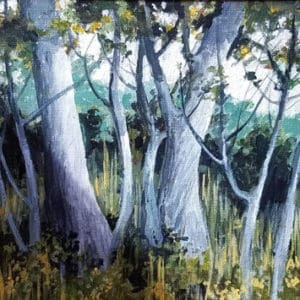 Ms. Watson paints from her own photographs of Florida as well as other remote places from her kayaking and hiking travels. As a lifelong environmentalist, her creations manifest her love of nature. Her works are represented in over three hundred and fifty public and private collections in the United States and abroad.